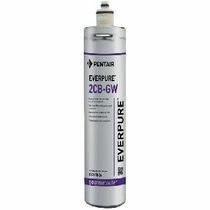 Ensure that your employees and guests are well-hydrated with top-quality Pentair Everpure commercial water filters. 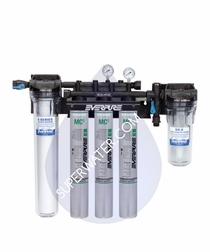 Whether you're in need of super-powered commercial water filters for restaurants or want to install an Everpure water filtration system in your office or corporate environment, Superwater is the best place to get things started. 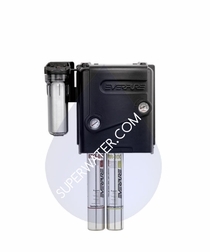 With these premium water filters, you'll be able to serve the purest water imaginable for everything from fountain beverage machines to coffee makers. 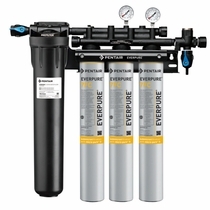 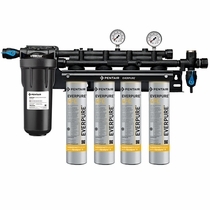 We're an Authorized Pentair Everpure Foodservice Dealer and Retailer who's been selling authentic Pentair Everpure water filters for over two decades, so we're well equipped to assist you with your commercial Everpure purchase. 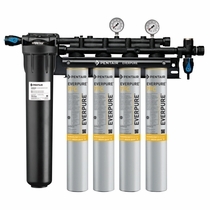 Pentair Everpure is one of the absolute best solutions for commercial and food service water filtration, with each system using accordion-membrane filter technology that thoroughly removes foul tastes, odors and particles from your water. 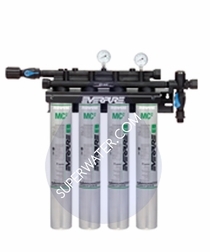 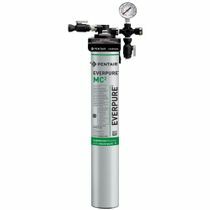 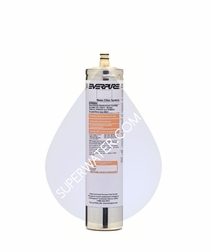 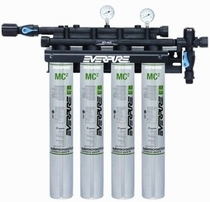 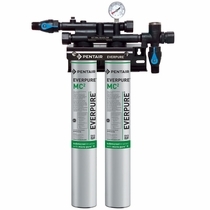 Try out Pentair Everpure Reverse Osmosis water filters, which will also remove arsenic, copper and lead from your water, if you're worried about microscopic contaminates. 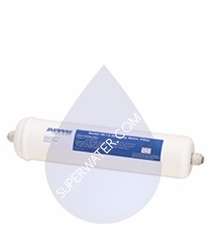 We carry fountain beverage filter systems, marine filter systems for boats and ships and office filtration systems for businesses of all shapes and sizes. 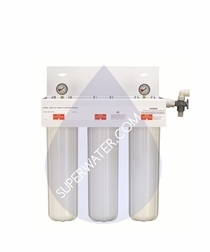 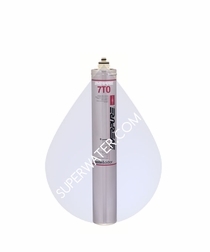 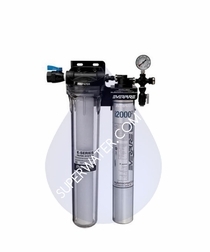 Let Superwater guide you to the best restaurant water filtration system so that your guests are always smiling. 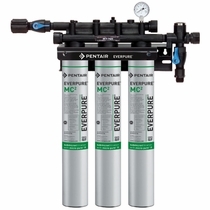 Pentair Everpure water filters will rid your water of contaminates such cyptosporidium and giardia cysts, asbestos fibers, dirt, chlorine, mold and algae and more via an easy-to-use surge tank. 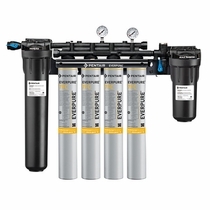 Smart features like antimicrobial protection within the cartridges ensure that your water isn't contaminated by any bacteria growth. Click on each individual Pentair Everpure system to learn more about water capacity, flow rate, certifications and more on each option. 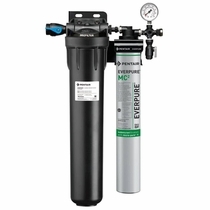 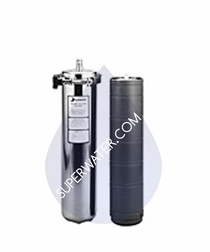 Pentair Everpure systems from Superwater ship free to help save your business big bucks. 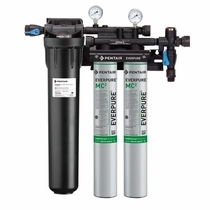 Don't hesitate to reach out to our friendly Everpure sales experts if you have any questions at all about Pentair Everpure filters. 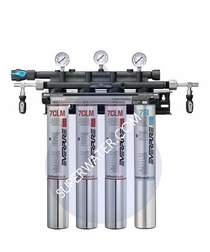 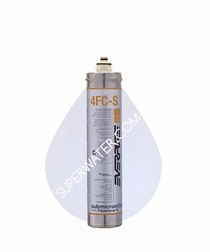 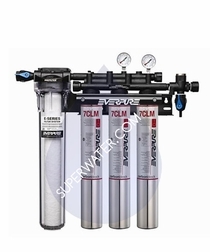 If you can not find what you are looking for, please email us at support@superwater.com or call Us Toll Free at 1-866-WATER2U.